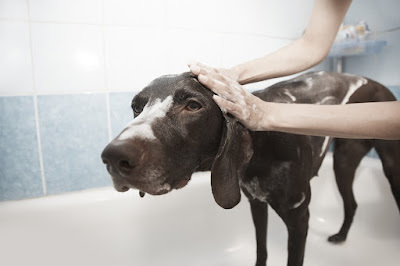 CanadaVet.com Blog: How to Make Bath Time Less Stressful for You and Your Dog! We all known a dog who hates baths, the ones who make a break for it and run to hide under the bed the second they hear the water start to run. Fortunately, there are steps you can take to make bath time less stressful for your dog — and you! We have come up with 4 tips to help bath time become a worry of the past. A stress free bath time doesn’t happen overnight, let’s be honest. You’ll have to start teaching your fur friend individual behaviours, that when put together, will make bath time successful and more enjoyable for the both of you. Some key tricks that will come in handy during bath time are teaching your dog to jump in and out of the tub; as well as teaching them to stay still while the water is running. Most importantly, you want to teach your dog to not be afraid of water. Doing this in a low-pressure place, like a small lake or a kiddie pool is ideal. This will allow your dog to enjoy the idea of being in the water; making bath time fun. Many dogs naturally enjoy a dip in the water when they’re feeling hot and exhausted after exercise, so use those natural instincts to your advantage. Walking your dog ahead of time is a great idea as it allows them to use their pent up energy; making them more relaxed and tired when bath time rolls around. Although you’ll need to block off more time this way, it will make the overall bathing process much easier. 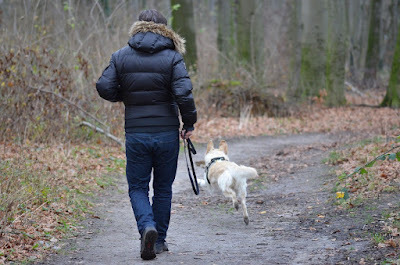 It’s best to find an exercise that both you and your pup enjoy that will guarantee to wear them out. Not only will this make bath time more pleasant, it offers exercise to both you and your dog. Brushing your dog before their bath will make brushing them afterward much easier! This will help to remove any dirt or dead hair they’ve been carrying, and prevent you from pulling on wet, matted tangles while they’re in the tub. 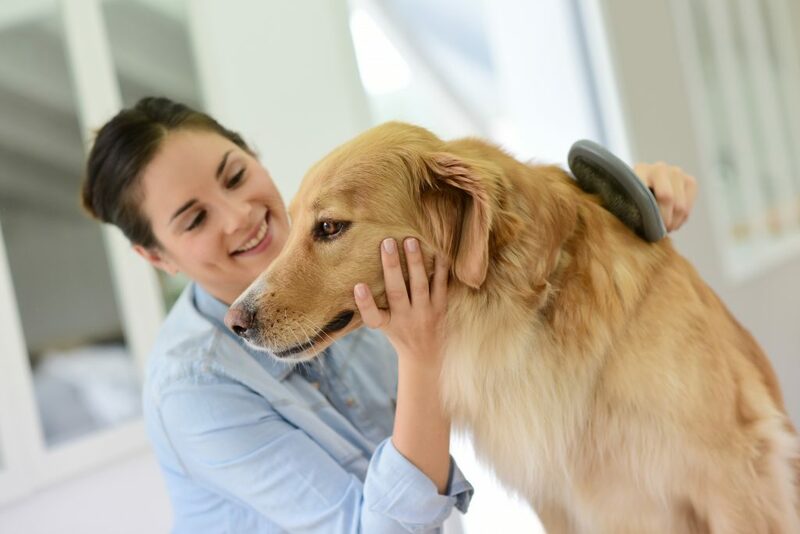 If your dog enjoys being brushed, this is also a good way to help relax and soothe them before the dreaded bath time. You can also remove your dog’s collar at this time, or leave it on to use, as a gentle handle to steady them while in the bath. To keep your dog calm, teach them to associate bathing with good things. A little positive reinforcement can go a long way. Combine your dog's bath with tasty treats, plenty of praise, and maybe even a fun game or toy that's reserved especially for the tub. With treats, offer the first one once your dog has hoped into the tub; helping build positive associations. Sometimes we get so caught up in scrubbing and rinsing that we forget to talk to our dogs through the process. Throughout the entire bath, give your dog praise. Talk to them in a calming, gentle voice explaining what you’re doing. 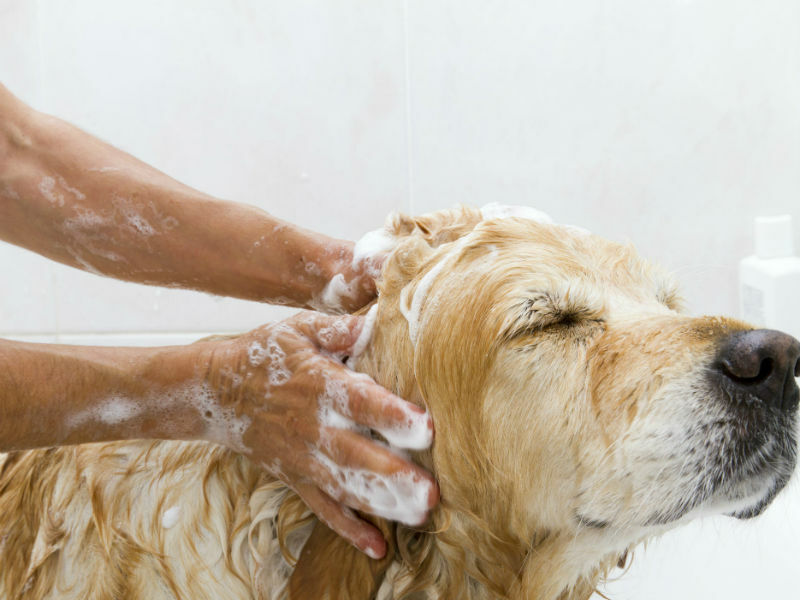 By helping your fur friend associate baths with goodies and attention, you can do a lot to change your dog’s attitude about the whole bath situation. 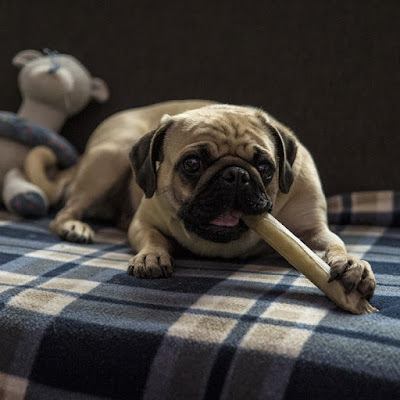 5 Dog Myths - Busted!